Join us in Galveston for the opportunity to learn, network, and enjoy at the 60th Analysis Division Symposium. This long-running spring symposium, sponsored by the ISA Analysis Division, continues to offer an outstanding forum for the discussion of new and innovative processes and other analytical techniques, developments, and applications. A full program will include expert-led training, technical presentations, social functions, and more at a stunning location..
Join 250+ of your peers to hear the latest in applications, developments, and solutions with analytical technologies. Hear experts in the fields of sampling, chromatography, spectroscopy, chemiluminescence, and other analytical techniques. This is your opportunity to network and enjoy the relaxed, social atmosphere presented by AD 2015. Exhibits of current analytical instrumentation will be available during morning and afternoon breaks, at lunch time, and after the technical presentations on Sunday, Monday, and Tuesday evenings. This is the 60th Annual ISA Analysis Division Spring Symposium. Each year, this conference grows in attendance, quality of paper presentations and technical content. For additional information, contact Cindy Cauthen or refer to our Contact Us page. This event is held every year on the Sunday before the Symposium. Organized by the Education Chair, this 1 day short course is presented by the top professionals in the industry who generously contribute their time to give a primer on process analytic fundamentals. The course content is modified and updated each year, and in this past year included Gas Chromatography, Spectroscopy, Discrete Gas Analyzers, System Design, Sample Conditioning Systems and Communication Networking. Alex Lau will teach the use of statistical control charts to determine the “fit-for-use” of results from Process Analyzers. The primary target audience are process analyzer technicians with no prior knowledge or exposure to control charting. After an introductory overview of measurement variation, the basic statistical theory behind control charts and associated work process will be presented, followed by a simple hands-on manual work up on the set up of a control chart using real world data. A simple Excel-based tool will then be demonstrated and distributed to participants. Benefits associated with use of control chart will be discussed, including how to quantify normal deviation between lab versus process analyzer results. The Workshop will close with an open-forum discussion on candidate Process Analyzer key performance indicator’s that can be established using control charts. The core event of the symposia is a three day program of 25-30 technical papers organized in 10-12 consecutive sessions. All papers submitted for the Analysis Division Symposia are peer-reviewed and edited by a panel of industry subject matter experts. The panel includes division Past Directors, ISA fellows, Ph.D.s, with a combined experience of over 120 years in the industry. The feedback offered is invaluable. All papers are formatted and published in the symposium proceedings which is given to all attendees as part of the registration. The non-commercial requirements of the written paper and the symposium presentation ensure a high quality technical meeting. Perhaps the hottest topic these days in any industry that relies on the internet for commerce, serving customers and networking is that of cyber security. The process analytics industry is no different. 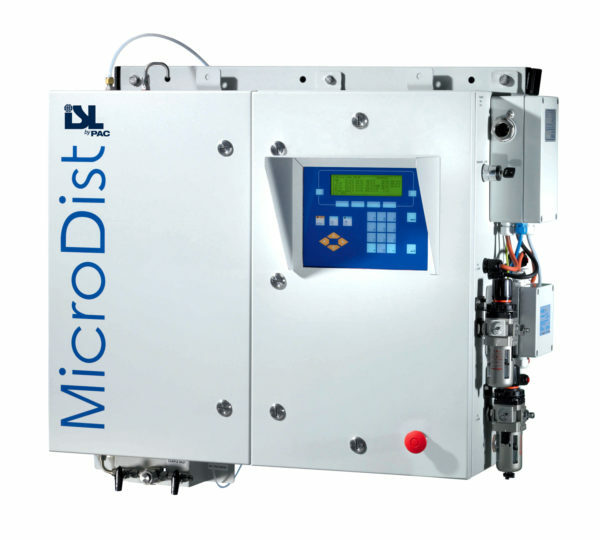 Companies in the Oil and Gas markets as well as the chemical market, for example, continue to be faced with declining analyzer and instrumentation personnel to maintain the equipment driving more and more the need for remote service capability. 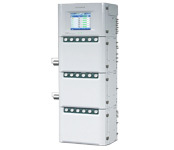 Communication infrastructures can be quite expensive, yet are required to provide the communication networks that keep plants running. Wireless technologies hold the promise of drastically reducing the costs of such infrastructure. While the benefits are clearly understood, the challenges associated with keeping remote connections and wireless communications secure to protect businesses from the constant threat of attack remains the biggest challenge and barrier to adoption for many. Join us on Thursday morning, April 30, to listen in on and participate in a special session on Cyber Security. We will have presentations on wireless standards, remote connection applications as well as a panel discussion on the pros and cons of wireless and remote internet communications as well as what the future may hold for cyber security. For the 2015 AD Symposium – Eight vendor training sessions are scheduled for Thursday, April 30th. 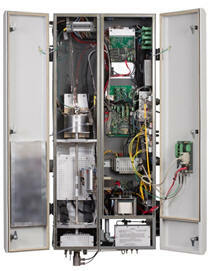 Although not a substitute for a full, factory certified, training course, the PGC5000 – Basics of Operation class intends to get those that are, or may be technically involved with the ABB Process Gas Chromatograph familiar with the hardware, configuration and operation, including local touch screen and remote interface options. This short course is aimed to provide a tutorial on how to develop good quantitative methods for vibrational spectroscopy. Here you gain an understanding of the basic principles of molecular spectroscopy, learn techniques how to obtain good quality spectra and how to apply it towards quantitative analysis of your materials. The entire course is aimed at giving practical advice for the daily laboratory and process routine. In the end, you will learn the advantages of using molecular spectroscopy and how it can be used to make your lab routine and processes more efficient..
After a brief product update on the Maxum GC platform, training will be given on upgrading a Maxum GC to use the new color touch screen display. A free 60-day demo CD of the Gas Chromatograph Portal (GCP) will be given to class attendees as part of hands-on GC workstation training. Attendees are encouraged to bring their laptops for assistance in installing the software. There will also be a review of using the Maxum’s advanced maintenance functions by reviewing the Statistic Monitoring (StatMon) and Analytical System Monitor (ASM) software package. 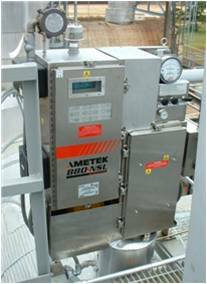 P lus a summary of maintenance and operational highlights and requirements for compliance analyzers such as on Flares (Total Sulfur, H2S, BTU), Cooling Towers (HRVOC) and Furnaces (CEMS). Finally, we will have an open session to discuss specific topics of interest by the attendees. Class will start with brief overview of Chromatography basics to establish a common footing for all present. Primary component service procedures and recommendations will then be covered, for such items as Oven Valves, Liquid Sample Valves, and key parts. Programming and program modification will be next topic as done both on the unit and remotely accessed. This will cover standard chromatography, concurrent chromatography, and parallel chromatography as done on the GC8000 platform. The attendees will have the opportunity to actually perform these normal operations (change gate times, valve timing, standard area, cal factor etc.) and as well as the re-integration function on training units present. Measurement of H2S/SO2 in the Sulfur Recovery Unit (SRU) tail gas is used as the primary control element of the Claus SRU and is addressed by two models of application specific analyzers. Both the model 880 NSL and 900 ADA analyzers will be covered with the class dividing into two groups to work on the specific model. The course will cover UV spectroscopy, sample handling as well as process chemistry and upsets so the analyzer technician can better communicate with operations to delineate perceived analyzer problems from process anomalies. 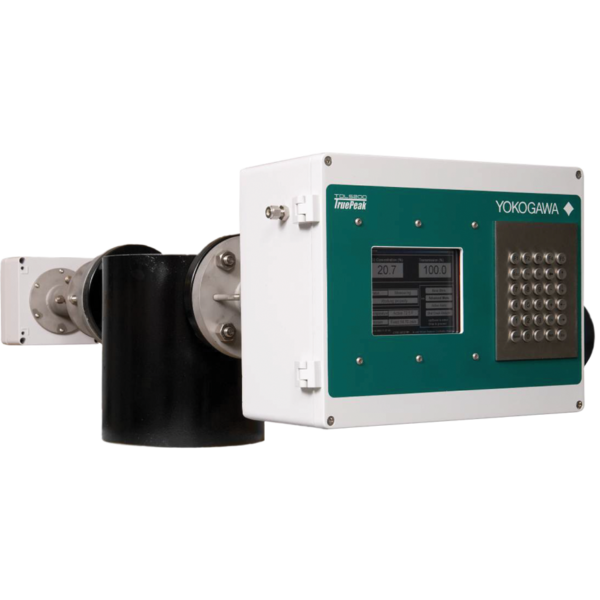 Measurement of oxygen utilized for process control and safety critical measurements in hazardous area environments. The course will cover paramagnetic measurement technology, analyzer components, validation/calibration, troubleshooting, analyzer installation and sample system design consideration. 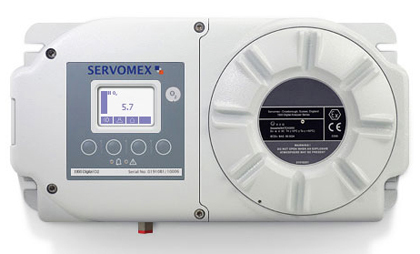 This field-proven instrument addresses the need for a low-maintenance sulfur analyzer that can reliably measure low ppm levels to help customers meet the tightening, Tier 3, regulatory requirements that limit sulfur levels in fuels. This hands-on course is ideal for new operators, or as a refresher course for advanced users, of the Thermo Scientific SOLA II Sulfur Online Analyzer, providing users the skills needed for effective operation and troubleshooting. Course topics include: system diagnostics, software, basics of operation, installation and configuration, basic maintenance. PAC will provide MicroDist user training which will include an overview of the instrument and its distillation applications. Topics will include theory of operation, method development, calibration, validation, analysis, evaluation of results, and routine maintenance. An analyzer will be available for hands-on training, which will be provided by a PAC Process Applications Specialist who will be able to answer instrument and application specific questions. The top names in process analyzer manufacturing and services gather at the annual Symposia. The vendor companies make their top people available for discussion on applications, technology, and new products. The latest symposium had 36 vendors that covered every conceivable detection principle as well as systems integration and sample handling hardware. The most concentrated forum for process analyzer hardware in one location, more than any other trade show, is coincident with every AD Symposium. Also, the vendor suites provide a great opportunity to unwind, socialize and network after the days events. The Analysis Division Banquet is held each year and provides yet another opportunity to network with new colleagues from around the world. This evening event features a fantastic meal, a bar graciously by several of the vendors, and a fascinating after-dinner speech by a new keynote speaker each year.